If Kentucky is to achieve its potential, people in cities and suburbs of our state must be aware of social, economic, educational, and governmental needs of rural communities. Likewise, rural citizens must be knowledgeable and must be able to evaluate our state as a whole, and as a complex system. To this end, LEADERSHIP KENTUCKY has been established. Leadership Kentucky participants will seek mutual understanding of the problems and solutions for our state as they explore new ideas, examine critical political, economic, and social issues to expand knowledge, exposure, and understanding through study and discussion. 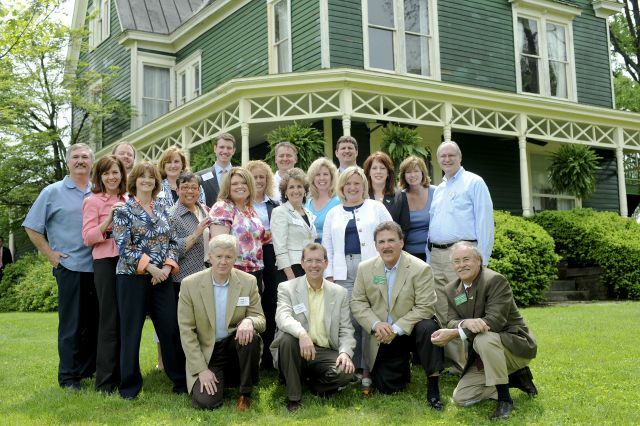 In the 70’s and 80’s, local leadership programs were emerging throughout the country. Young involved leaders across the state acknowledged the need to build understanding among Kentucky’s regions. They imagined what could happen if Kentucky’s best and brightest were brought together to learn firsthand about the complicated issues that impact the state. A delegation sought out prominent Louisville attorney and visionary leader, Wilson W. Wyatt, Sr., who served as Mayor of Louisville, Lt. 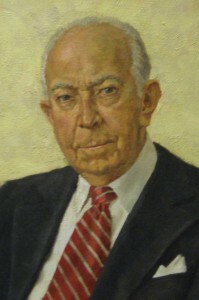 Governor of Kentucky, and served on numerous national posts, for guidance in the establishment of a statewide leadership development program. He agreed to serve as the inaugural chairman and recruited a group of state leaders who agreed to serve on the initial board of directors. 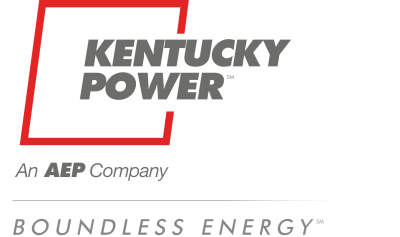 The Kentucky Chamber of Commerce gave its full support and provided office space and staffing. The James Graham Brown Foundation granted the organization funding to help launch the program. To date, Leadership Kentucky has 1,600+ graduates from three unique programs who live and work in every district of the state. In addition, Leadership Kentucky has helped establish many community leadership development programs throughout Kentucky. Leadership Kentucky is making a difference throughout the Commonwealth. Our graduates are in vital and key roles, leading corporations, serving as elected local, county, state, and national officials, directing social service agencies, higher education institutions, and serving as dedicated volunteers with vision.